Successfully Added 5 Inch Car Mirror Monitor - 4:3 Ratio, 800x480 Resolution, 2 Video Input to your Shopping Cart. 5 Inch Car rearview mirror monitor featuring a 4:3 ratio and a 800x480 resolution for connecting and receiving direct video feed as you reverse your car. With a polarized surface, this clip over monitor reflects images just like a regular rear view mirror, but then has the bonus of displaying the images of your rearview camera if you put your car in reverse. 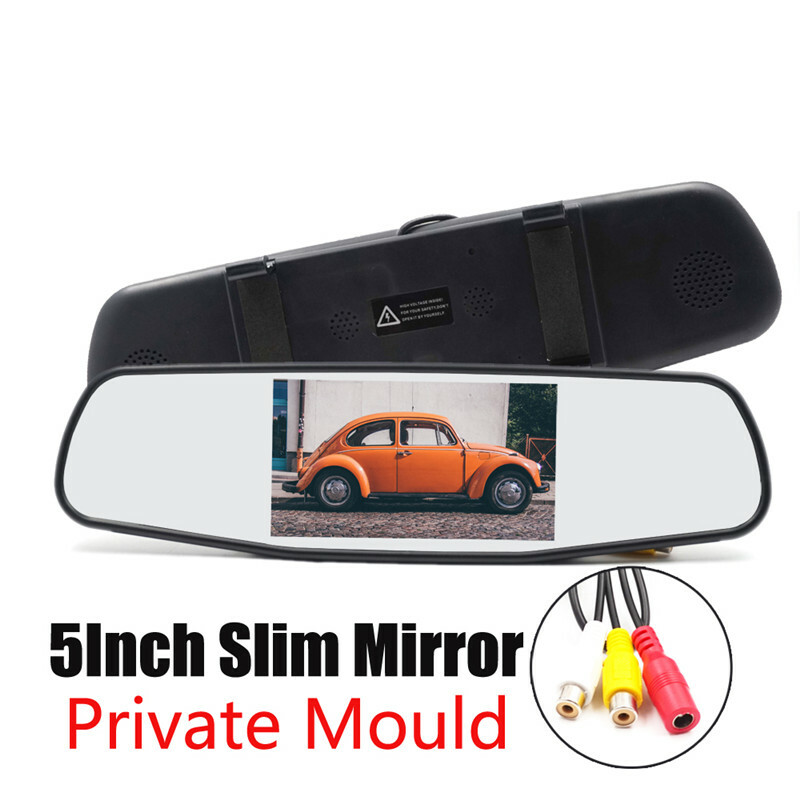 An easy to install with belt means this can be securely mounted over any existing rearview mirror and fits most worldwide model cars.